Whether you’re looking to build your first Internet of Things project or simply make an existing device smarter, the MKR1000 Bundle provides everything you need to get started. The MKR IoT Bundle walks you through the basics of using the Arduino MKR1000 for IoT applications. You'll learn through building 5 creative experiments thanks to the step by step online tutorials available on the Arduino Project Hub platform. The MKR IoT bundle includes a selection of the most common and useful electronic components to build 5 IoT experiments.The kit is based around the MKR1000 — a powerful board that combines the functionality of the Zero and the Wi-Fi Shield — and enables Makers to add connectivity to their designs with minimal prior networking experience. Each bundle includes: 1 Arduino MKR1000 board, with header soldered 1 micro USB cable 1 400-point breadboard 70 solid-core jumper wires 1 9V battery snap 1 stranded jumper wire 6 phototransistors 3 potentiometers (10 kilohm) 10 pushbuttons 1 temperature sensor (TMP36) 1 tilt sensor 1 alphanumeric LCD (16 x 2 characters) 1 bright white 34 LEDs (1 bright white, 1 RGB, 8 red, 8 green, 8 yellow, 3 blue) 1 small DC motor (6/9V) 1 small servo motor 1 piezo capsule (PKM17EPP-4001-B0) 1 H-bridge motor driver (L293D) 1 octocouplers (4NE5) 2 MOSFET transistors (IRF520) 5 capacitors (100uF) 5 diodes (1N4007) 3 transparent gels (R,G,B) 1 male pin strip (40 x 1) 20 resistors (220 ohm) 5 resistors (560 ohm) 5 resistors (1 kilohm) 5 resistors (4.7 kilohm) 20 resistors (10 kilohm) 5 resistors (1 megohm) 5 resistors (10 megohm) Please note, don't connect 9V to the board, as it will be damaged. You can use the 9V Battery strip to supply an external component. Arduino Industrial 101 is an Evaluation board for Arduino 101 LGA module. The ATmega32u4 microcontroller is integrated in the baseboard. The module supports a Linux distribution based on OpenWRT named LininoOS. The board has built-in WiFi (IEEE 802.11b/g/n operations up to 150Mbps 1x1 2.4 GHz), 3 GPIOs (of which 2 can be used as PWM Outputs), 4 Analog Inputs, 1 USB, 1 Ethernet signal on pin headers and a built-in DC/DC converter. Check out the assembling guide and simply connect your board to a computer with a micro USB cable to get started. Engineering Just Got Cool with the Arduino Engineering Kit! Bring the power of the Arduino MKR1000 to the classroom with MATLAB and Simulink. The Arduino Engineering Kit is the ideal solution for university students, providing a state-of-the-art, hands-on incorporation of Arduino technology in an educational setting. The kit is primarily for three types of users: Students learning about engineering at a university or at a vocational school (e.g., Introductory Engineering, Controls, Mechatronics courses); Professors teaching engineering who also want practical resources to demonstrate engineering concepts; Makers with an interest or background in engineering, either professionally or as a hobby. The Arduino Engineering Kit includes three cutting-edge Arduino-based projects so that students can learn fundamental engineering concepts, key aspects of mechatronics, and MATLAB and Simulink programming. These projects will challenge them intellectually and help them develop physical engineering skills — and they’re just fun to do. Self-Balancing Motorcycle: This motorcycle will maneuver on its own on various terrains and remain upright using a flywheel for balance. It’s very exciting to build and to see in action. Mobile Rover: This vehicle can navigate between given reference points, move objects with a forklift and much more. It’s very fun to make and use. Whiteboard Drawing Robot: This amazing robot can take a drawing it’s given and duplicate it on a whiteboard. It’s most impressive. The kit is sold in a hard plastic, stackable tool box for storage and years of reuse. Inside the box is an easy-to-use Arduino MKR1000 board, several customized parts, and a complete set of electrical and mechanical components needed to assemble all three projects. See below for detailed list of what’s included in the kit. In addition to the state-of-the-art, high-quality, open-source hardware provided, after registering online, the student will have access to a dedicated e-learning platform and other learning materials. Additionally, they are granted a one-year individual license for MATLAB and Simulink. This provides them with hands-on experience in system modeling and embedded algorithm development. The new standard Narrow Band IoT, with the easy to use Arduino ecosystem. Fully compatible with Narrow Band IoT NB classes and LTE CAT M1 networks. Add Narrow Band communication to your project with the MKR NB 1500. It's the perfect choice for devices in remote locations without an Internet connection, or in situations in which power isn't available (e.g., field monitoring systems). This board is designed for global use, providing Cat M1/NB1 deployed bands 2, 3, 4, 5, 8, 12, 13, 20, 28 (Vodafone, AT&T, T-Mobile USA, Telstra, Verizon). 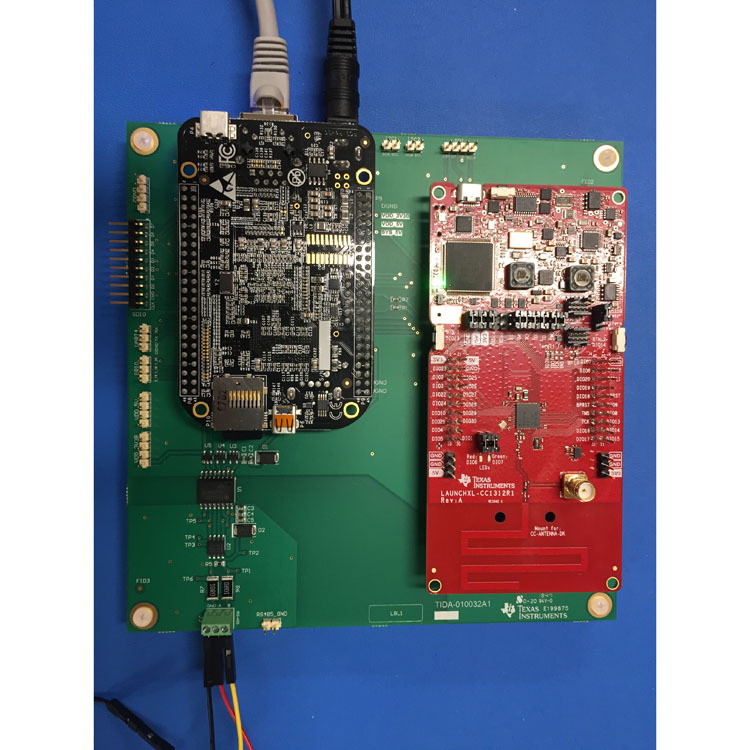 Add this board to a device and you'll be able to connect it to a WiFi network, using its secure ECC608 crypto chip accelerator. The Arduino Uno WiFi is functionally the same as the Arduino Uno Rev3, but with the addition of WiFi and some other enhancements. 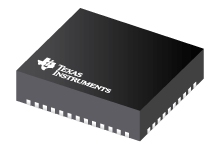 It incorporates a brand new 8-bit microprocessor from Microchip and has an onboard IMU (Inertial Measurement Unit). The Wi-Fi Module is a self-contained SoC with integrated TCP/IP protocol stack that can provide access to a Wi-Fi network, or act as an access point. 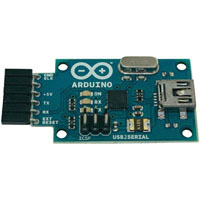 The Arduino Uno WiFi has 14 digital input/output pins—5 can be used as PWM outputs with Pin 11 that is not PWM as on the UNO Rev3 —6 analog inputs, a USB connection, a power jack, an ICSP header, and a reset button. It contains everything needed to support the microcontroller. Simply connect it to a computer with a USB cable or power it with an AC adapter or battery to get started. The MKR ZERO brings you the power of a Zero in the smaller format established by the MKR form factor. 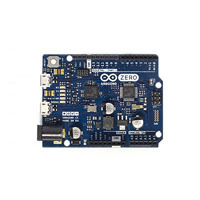 The MKR ZERO board acts as a great educational tool for learning about 32-bit application development. It has an on-board SD connector with dedicated SPI interfaces (SPI1) that allows you to play with MUSIC files with no extra hardware! The board is powered by Atmel’s SAMD21 MCU, which features a 32-bit ARM Cortex M0+ core. The board contains everything needed to support the microcontroller; simply connect it to a computer with a micro-USB cable or power it by a LiPo battery. The battery voltage can also be monitored since a connection between the battery and the analog converter of the board exists. Features: Small form factor Number crunching capability Low power consumption Integrated battery management USB host Integrated SD management Programmable SPI, I2C and UART Warning: Unlike most Arduino & Genuino boards, the MKRZero runs at 3.3V. The maximum voltage that the I/O pins can tolerate is 3.3V. Applying voltages higher than 3.3V to any I/O pin could damage the board. 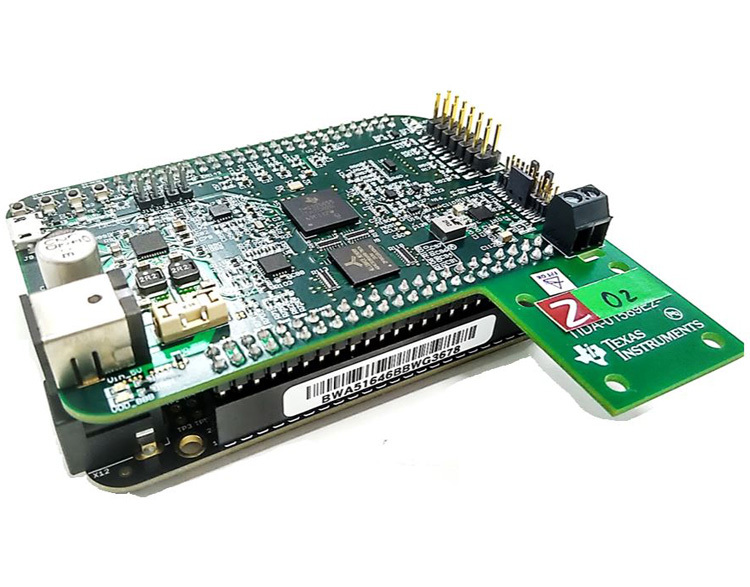 MKR FOX 1200 is a powerful board that combines the functionality of the Zero and SigFox connectivity. It is the ideal solution for makers wanting to design IoT projects with minimal previous experience in networking having a low power device. You’ll get 2-year free subscription to Sigfox network with the board (for up to 140 messages per day), as well as free access to Spot’it geolocation service that allows you to track the board without GPS or any extra hardware. Arduino MKR FOX 1200 has been designed to offer a practical and cost effective solution for makers seeking to add SigFox connectivity to their projects with minimal previous experience in networking. It is based on the Atmel SAMD21 and a ATA8520 SigFox module. The design includes the ability to power the board using two 1.5V AA or AAA batteries or external 5V. Switching from one source to the other is done automatically. A good 32 bit computational power similar to the Zero board, the usual rich set of I/O interfaces, low power SigFox communication and the ease of use of the Arduino Software (IDE) for code development and programming. All these features make this board the preferred choice for the emerging IoT battery-powered projects in a compact form factor. The USB port can be used to supply power (5V) to the board. The Arduino MKR FOX 1200 is able to run with or without the batteries connected and has limited power consumption. Want to add a WiFi interface to your devices? Get the MKR WIFI 1010. It connects easily to other Arduino products and is configurable using Arduino software — and you don’t need to be a network expert. The MKR WIFI 1010 is a significant improvement on the MKR 1000 WIFI. It's equipped with an ESP32 module made by U-BLOX. This board aims to speed up and simplify the prototyping of WiFi based IoT applications thanks to the flexibility of the ESP32 module and its low power consumption. The board is composed of three main blocks: SAMD21 Cortex-M0+ 32bit Low Power ARM MCU; U-BLOX NINA-W10 Series Low Power 2.4GHz IEEE 802.11 b/g/n Wi-Fi; and ECC508 Crypto Authentication. The MKR WIFI 1010 includes 32-bit computational power, the usual rich set of I/O interfaces, and low power Wi-Fi with a Cryptochip for secure communication using SHA-256 encryption. Plus, it offers ease of use Arduino Software (IDE) for code development and programming. 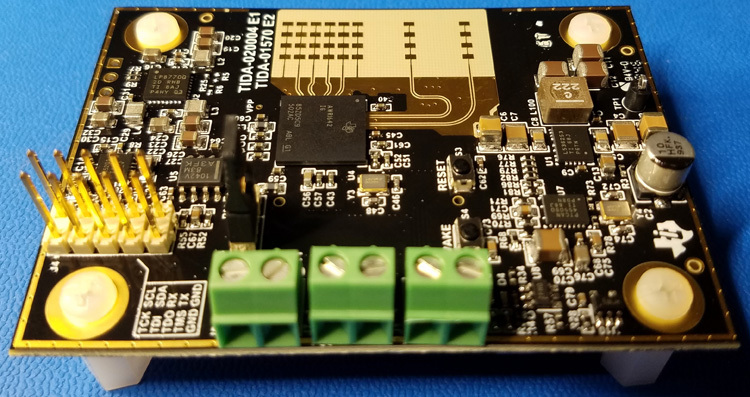 All of these features make this board the preferred choice for the emerging IoT battery-powered projects in a compact form. Its USB port can be used to supply power (5V) to the board. It has a Li-Po charging circuit that allows the Arduino MKR WIFI 1010 to run on battery power or an external 5 volt source, charging the Li-Po battery while running on external power. Switching from one source to the other is done automatically. Warning: Unlike most Arduino boards, the MKR WIFI 1010 runs at 3.3V. The maximum voltage that the I/O pins can tolerate is 3.3V. Applying voltages higher than 3.3V to any I/O pin could damage the board. While output to 5V digital devices is possible, bidirectional communication with 5V devices needs proper level shifting.